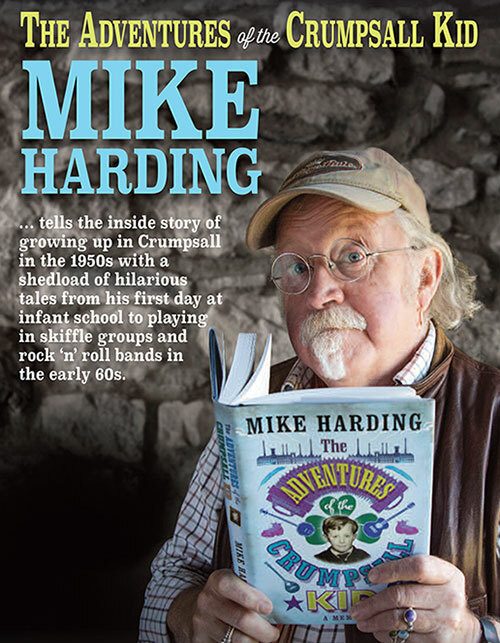 Mike’s back on the road again in November for a short tour to mark the publication of his autobiography, The Adventures of the Crumpsall Kid. Although busy with his internet radio show and another Costa del Folk in October, he’s visiting a dozen theatres to reveal all about growing up in Crumpsall in the 1950’s and relate some of the often hilarious tales from his first day at school to passing his 11+ “by mistake”. He also tells how his career in entertainment began in the early 60’s playing in skiffle groups and rock ‘n’ roll bands in the Working Men’s Clubs of Manchester and South Lancashire before he discovered folk music and went on to become one of the nation’s favourite funny men. This is life in the raw as seen through the eyes of the folk singer and songwriter, poet and playwright, comedian and broadcaster, fell-walker and fly-fisherman, described by Billy Connolly as the “funniest man in England”. Don’t miss it.